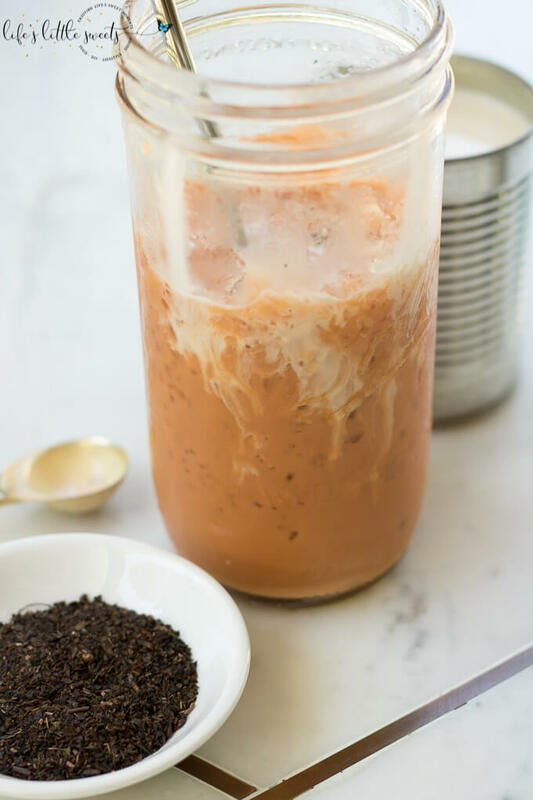 Thai Iced Tea is a strongly-brewed, smokey, black Thai tea, brewed hot, mixed with sugar (optional), sweetened condensed milk & evaporated milk and then quickly chilled by pouring over crushed iced, you can add more evaporated milk to add to it’s creaminess before enjoying. Sip this distinctive, popular sweet tea to chase away the heat. Let me just tell you that Brooklyn in the Summer…the heat can be brutal, steamy and downright oppressive. This tea is the perfect cure for hot weather and, of course, goes conveniently and wonderfully with spicy, hot food. It’s distinctive orange color, foamy bubbles and crushed ice are some details that make it memorable. 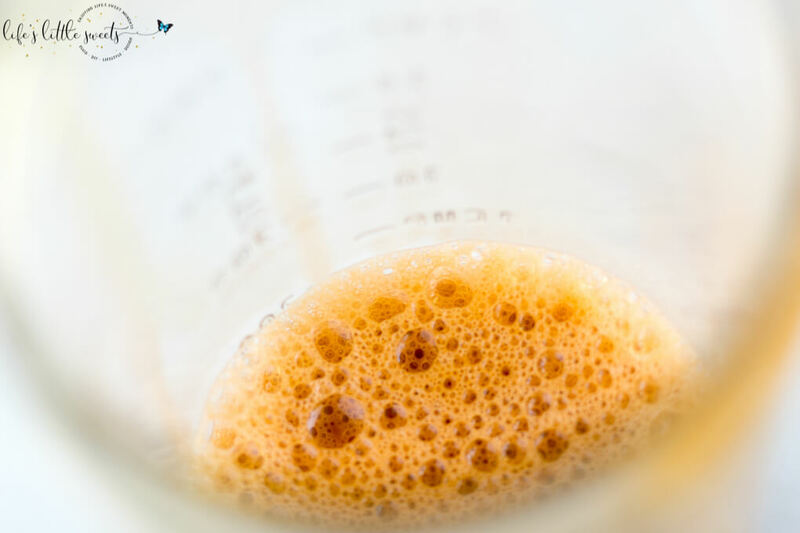 The splash of evaporated milk right before serving gives that extra drama that visually takes your mind off of any worldly woes…geez, can you tell, I like this drink already, I am waxing poetic rather much – I love this dang tea! With this recipe, I wanted to go in an authentic route. No vegan-stuff with this post, sorry 🙁 Although, I’m sure I will, eventually, because I like to experiment, love vegan food and do dairy-free recipes too. 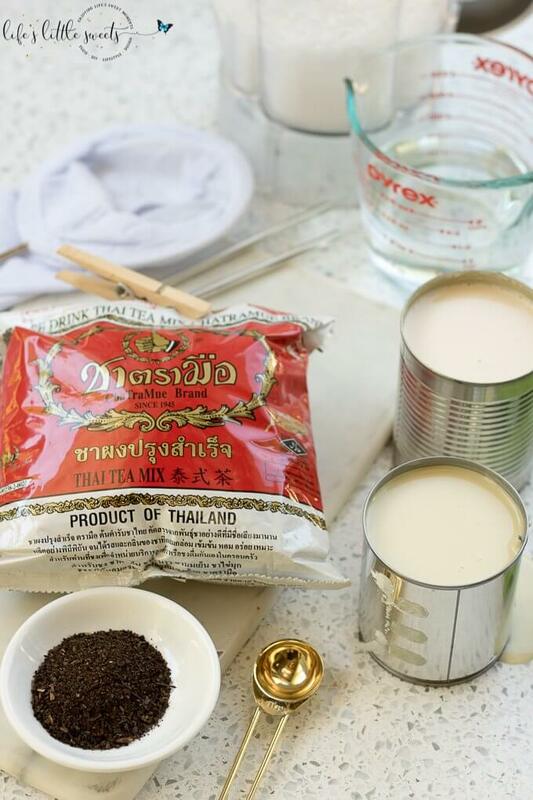 You want to make sure that you brew your Thai black tea nice and dark and also that you add more sugar/sweetened condensed milk/evaporated milk to make it sweeter because it will dilute when it’s poured over the ice. That’s how you get delicious Thai Iced Tea, M’kay? tea sock (I found mine on Amazon) for steeping (I highly suggest using the “sock” because this tea is very fine and it can go right through a mesh strainer leaving you with tea particles in your tea. 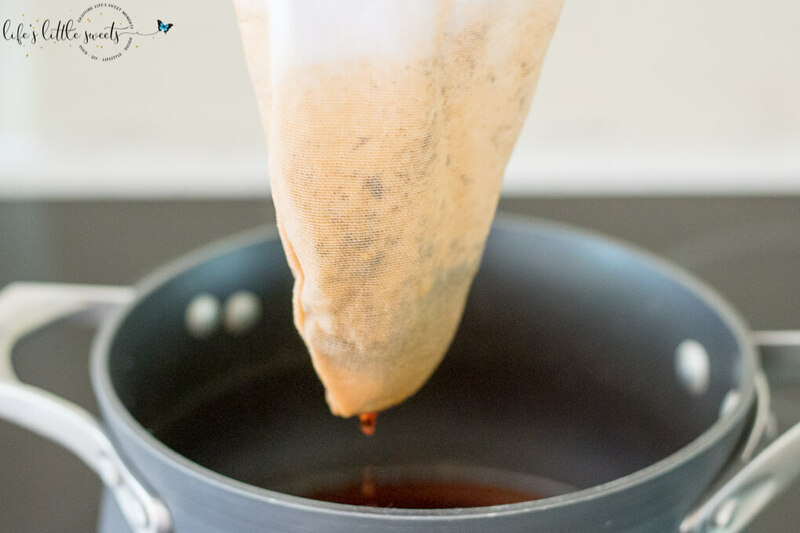 You can also use a coffee filter and do a pour over to strain it too. 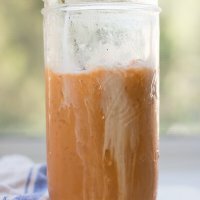 How do you make a Thai Iced Tea? 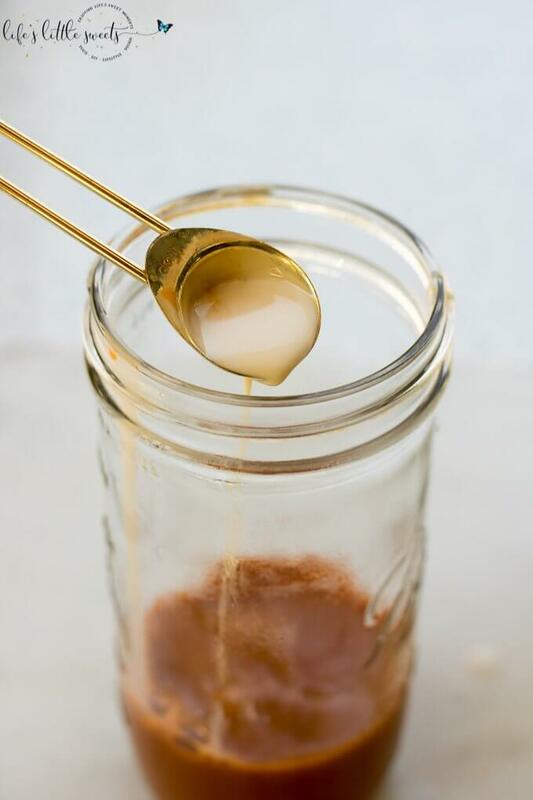 You brew black tea strongly, then add sweetened condensed milk, evaporated milk, sugar (optional), you can optionally pour it from container to container to make some foam on the top and this also helps cool it a bit, and then you chill it by pouring it over crushed ice. 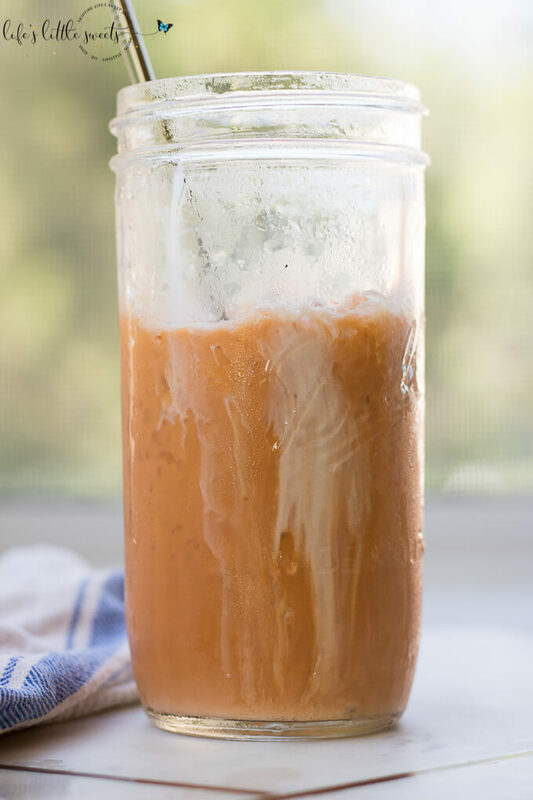 What is Thai Iced Tea made out of? Thai Iced Tea is made out of strongly brewed (hot) black tea, sweetened condensed milk, evaporated milk, sugar, and chilled crushed ice. 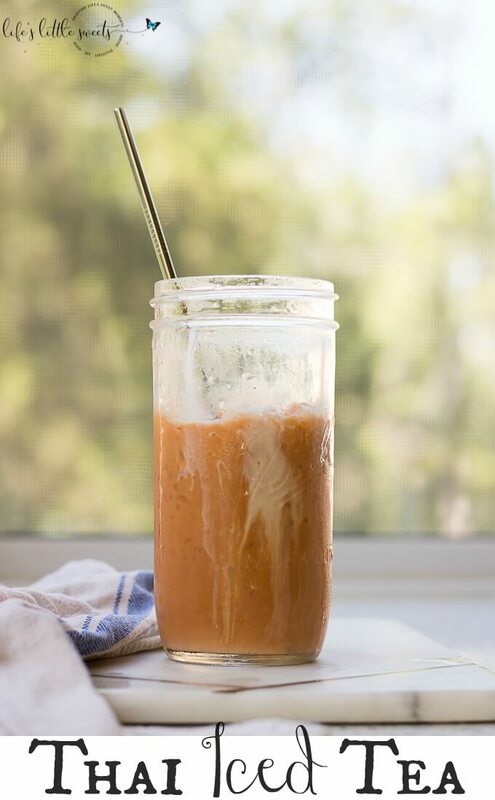 Is Thai Iced Tea good for you? 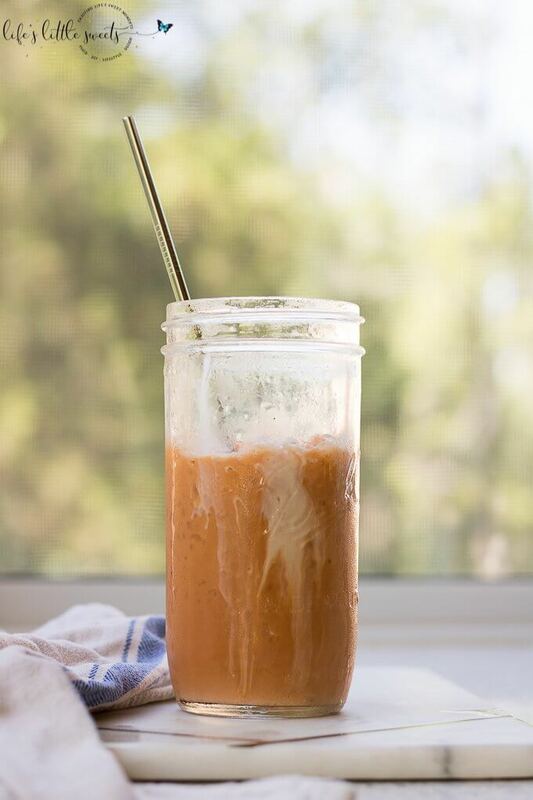 What makes Thai Iced Tea so orange? 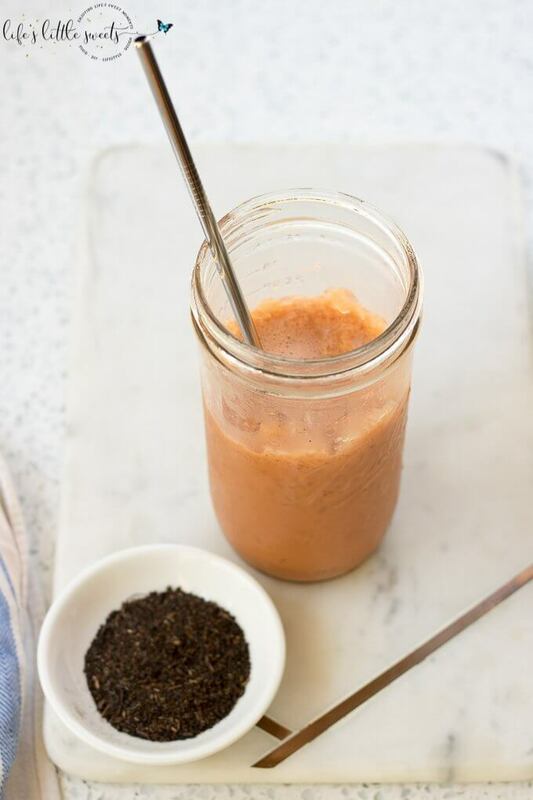 In the Thai black tea, there are other ingredients in different Thai Iced Tea recipes can include orange blossom water, crushed tamarind seed, red and yellow food coloring, star anise and other spices that can contribute to the distinctive orange color of Thai Iced Tea. In the tea that I use for this recipe, it’s probably mainly due to orange food coloring. At the time of my writing this post, I moved out of Brooklyn 13 years ago (wow, that sounds like a long time!) I’ve lived in several places since then but enjoying a Thai Iced Tea when it’s humid and hot has not changed. 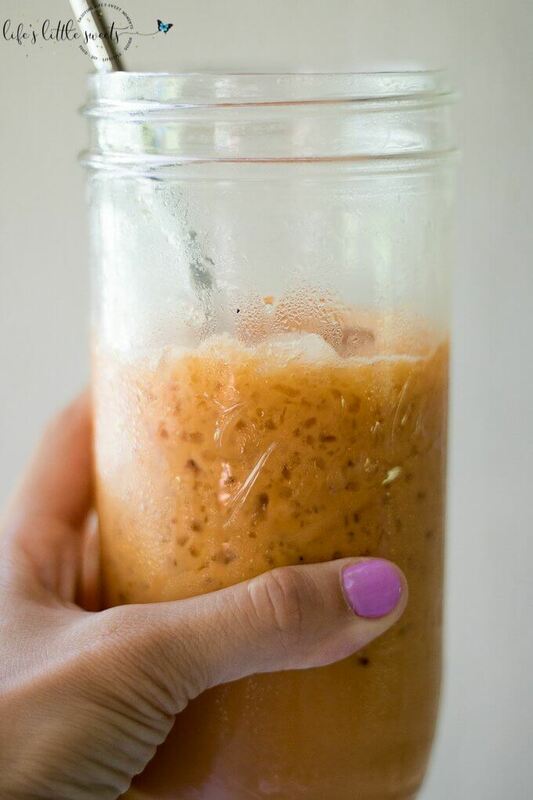 If you make this Thai Iced Tea recipe, let me know how you like it in the comments below. 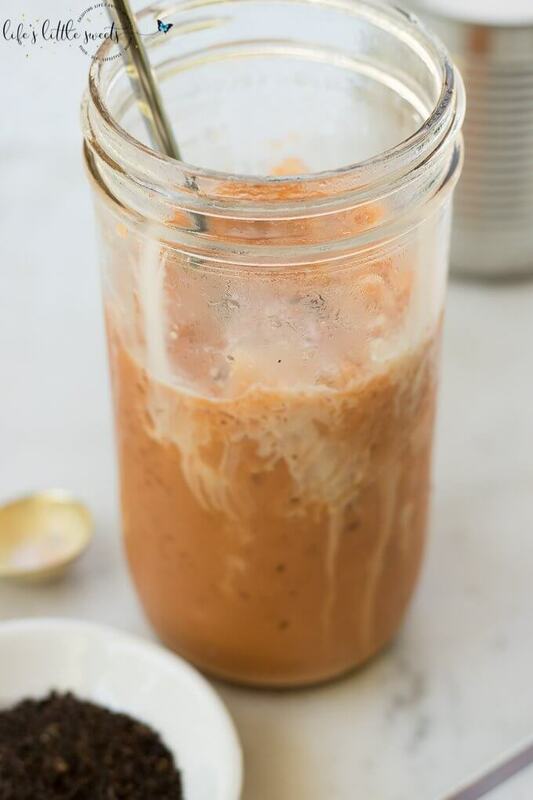 Thai Iced Tea is a strongly-brewed, smokey, black Thai tea, brewed hot, mixed with sugar (optional), sweetened condensed milk & evaporated milk and then quickly chilled by pouring over crushed iced, you can add more evaporated milk to add to it's creaminess before enjoying. Sip this distinctive, popular sweet tea to chase away the heat. 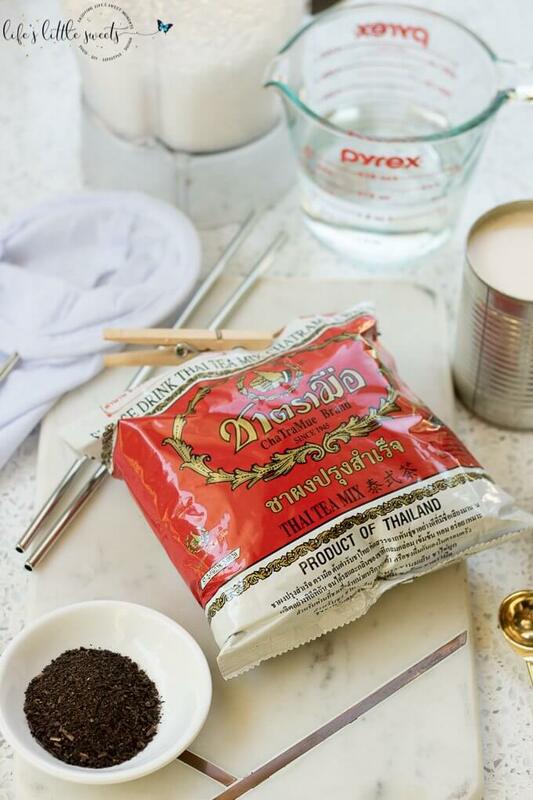 Add 1 heaping tablespoon of black Thai tea to a tea "sock." Have a heat safe "mixing" cup (larger than a cup size) ready; place prepared tea sock in the cup. 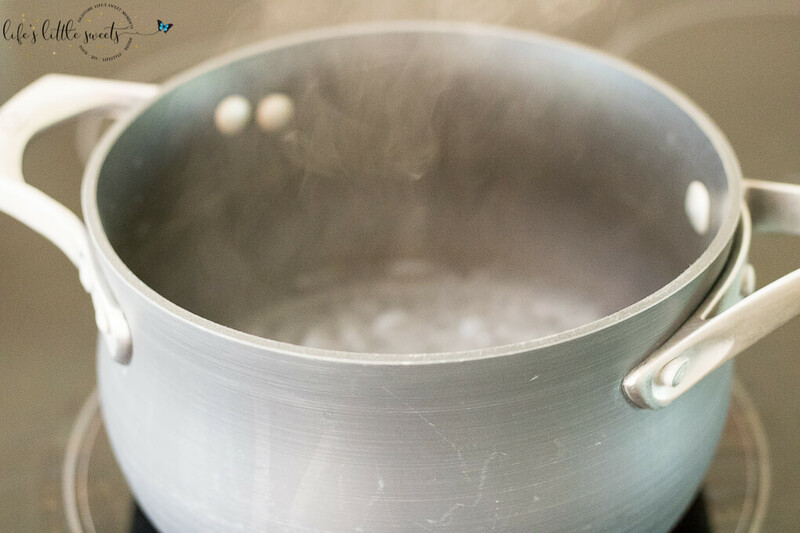 Bring water to a boil and pour water over the tea in the tea sock allowing the water to drain through into the cup. Allow to steep for 1-2 minutes. After steeping, remove tea sock. Add sugar, sweetened condensed milk, evaporated milk and stir to combine. Prepare a tall glass with crushed ice. 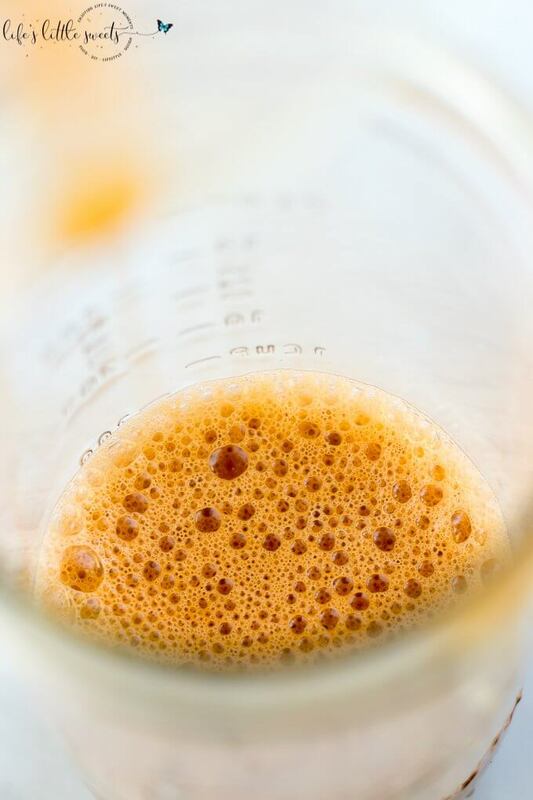 To make distinctive foam bubbles, take two wet measures (heat safe) and pour the tea back and forth until the desired amount of bubbles/foam appears. Pour over the crushed ice. Add 2 more teaspoons (or amount to taste) of evaporated milk to the top before serving. Enjoy! 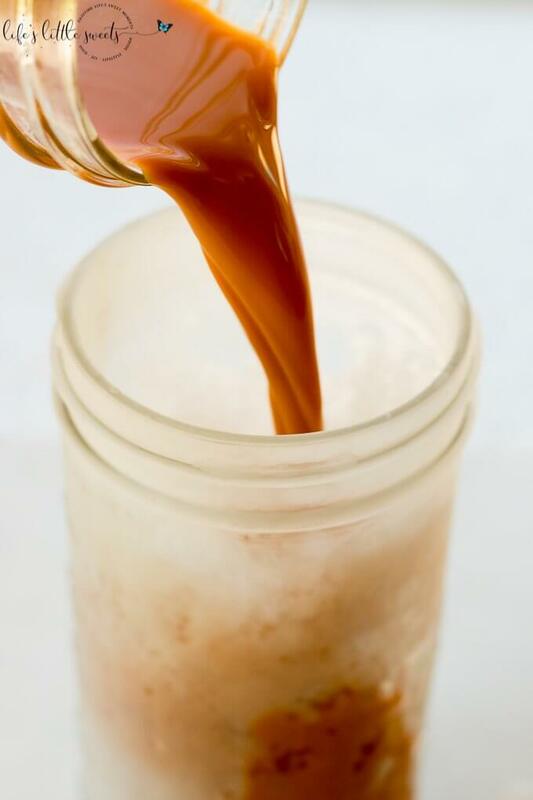 You want to make sure that you brew your tea nice and dark and also that you add more sugar/sweetened condensed milk/evaporated milk to make it sweeter because it will dilute when it's poured over the ice. 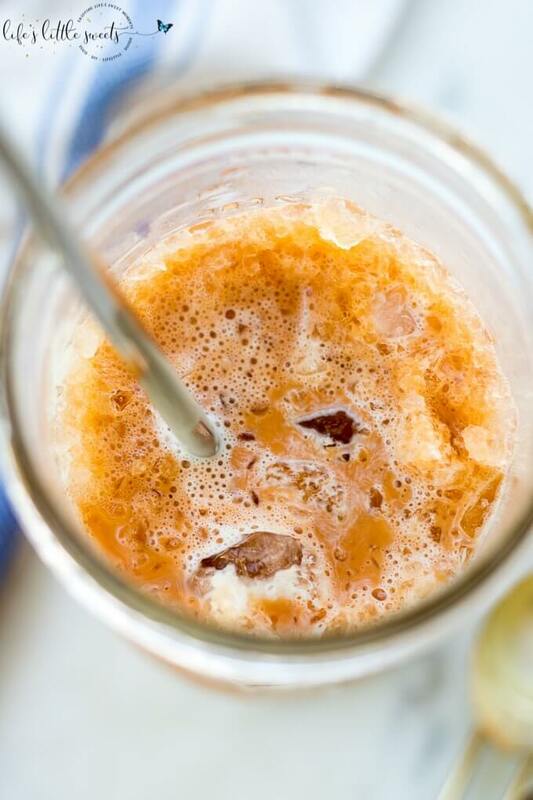 This recipe is inspired by experiences having Thai Iced Tea over the years.